Located in the heart of China, Hubei is bordered by Chongqing Municipality to the west, and by Shaanxi to the northwest, Henan to the north and northeast, Anhui to the east, Jiangxi to the southeast, and Hunan to the south. At an area of 187,500 km2, Hubei is slightly larger than Syria. Its name means ‘North of the Lake’ referring to its location north of Dongting Lake as compared to Hunan which means ‘South of the Lake’. During China’s Zhou Dynasty (1046-221BCE) Hubei was ruled by the Kingdom of Chu which at its fullest power controlled most of the present-day Hubei and Hunan, as well as parts of Chongqing, Guizhou, Henan, Anhui, Jiangxi, Jiangsu, Zhejiang, and Shanghai. Hubei first fell under Chinese rule during the Qin Dynasty (221-206BCE) but Chu resistant to Qin rule remained. Hubei was finally fully assimilated into the Chinese state during the Han Dynasty (206bce–220ce). From the 1850s onward, the history of Hubei grew increasingly tumultuous. The Taiping Rebellion spread into Hubei by 1852, devastating the province for more than a decade. After China lost the second 1856-1860 Opium War, the Hubei cities of Hankou, Yichang and eventually Shashi were opened to trade with the West, bringing not only new commerce into the province, but also western ideas and influence. Much of western trade was based first on tea, and then expanded to include tobacco and other food products. Turmoil continued after the turn of the century when a group of Wuchang-based revolutionaries, secretly stockpiling ammunitions for a revolt, accidently let one of the bomb explode. Realizing the game was up, they declared war on the Qing Dynasty (1644-1911) and took control of the city. As word of the revolt spread, many imperial troops joined the rebels as opposed to fighting for emperor. The Qing Dynasty looked to its top military leader Yuan Shikai to suppress the rebellion. Instead, he effectively negotiated the end of imperial rule in China and the Republic of China was born. During the 1937-1945 Sino-Japanese war, much of Hubei came under Japanese control, and fighting swept the area. 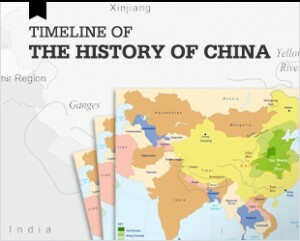 Even after the war ended in 1945, chaos, banditry and fighting continued to plague the province until the Chinese Civil War ended in 1949 and the People’s Republic of China was founded. In 1954, the province, especially Wuhan city, was devastated when high volumes of rain and an unusually long rainy season caused catastrophic Yangtze River flooding, resulting in the deaths of approximately 33,000 people. As a consequence of this and other flooding, China began a spree of dam building on the Yangtze starting with the Gezhouba Dam located in the western suburbs of Hubei’s Yichang City and culminating with the famous Three Gorges Dam 38 kilometers upstream from the Gezhouba Dam Lock. 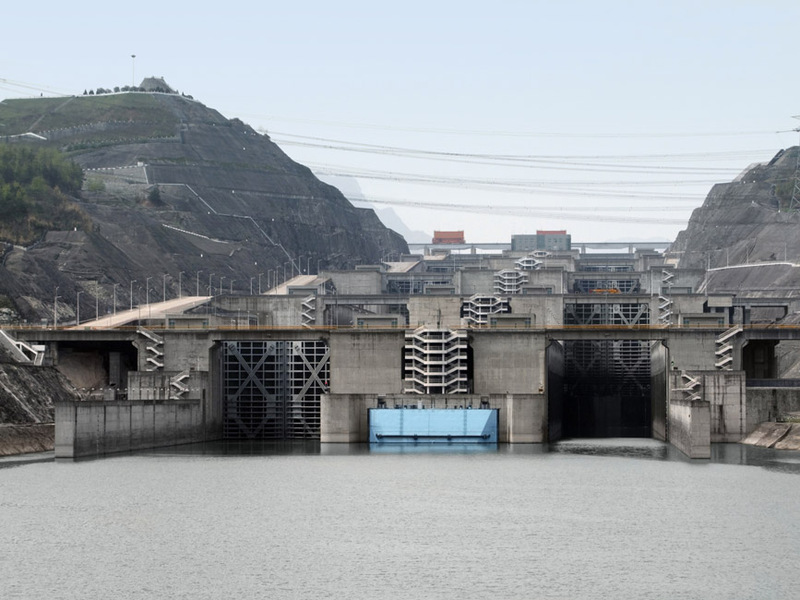 China also built a number of smaller dams on the Yangtze’s tributaries. These dam projects caused the resettlement of millions of people in western Hubei. 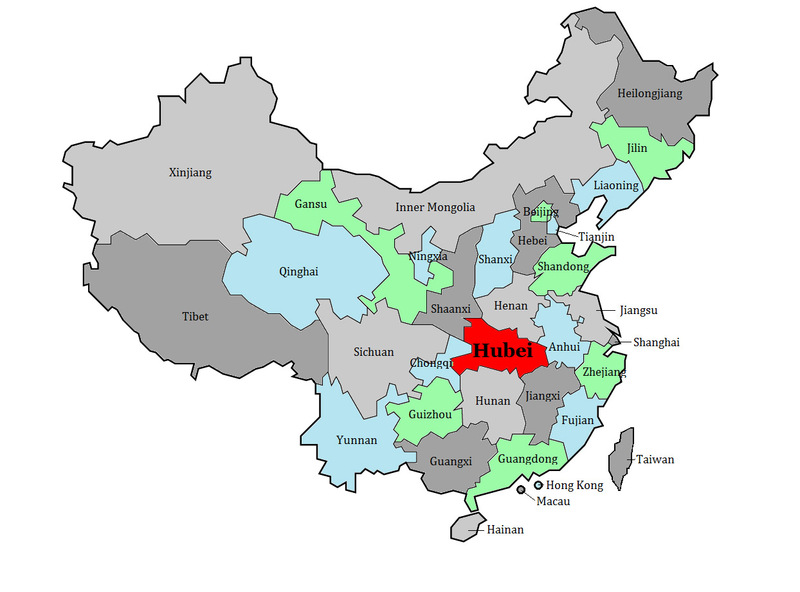 Hubei has a population of approximately 57 million people, the majority of which are Han. The few minorities living in Hubei are mostly Hui, although some Tujia and Miao peoples live in Hubei’s southwestern hills. About half Hubei’s population is rural, mostly living in the plains running alongside the Yangtze and Han Rivers. About a third of its urban population- close to 10 million people -lives in Hubei’s capital of Wuhan, which itself is an amalgam of the three former cities of Hankou, Hanyang, and Wuchang. Other large cities in Hubei include Huangshi, Shashi, Yichang, and Xiangfan. 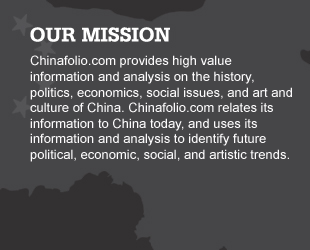 Hubei’s annual GDP is approximately $445 billion. Often called a ‘Land of Rice and Fish’, agriculturally, Hubei is one of China’s leading rice-producing provinces. It also grows wheat, barley, broad beans, cotton, sesame, peanuts, rapeseed, ramie, hemp, fruit and tea. Hubei also produces the forest product tung oil, raises pigs and poultry, and engages in aquaculture. Approximately 138 different types of minerals have been identified in Hubei, with 89 of these minerals having some level of reserves. Hubei’s deposits of phosphorus ore, hongshiite, wollastonite, garnet and marlstone are the fifth largest in China while its reserves of iron, phosphorus, copper, gypsum, rock salt, gold amalgam, manganese and vanadium are the seventh largest nationally. It is also known for its turquoise and green faustite. Hubei has limited energy minerals with only small deposits of coal, petroleum and natural gas. That said, due to the large number of dams in the province, Hubei has excellent hydroelectricity capacity. The Three Gorges Dam alone generates 22,000 MW of electricity, equivalent to the burning of 50 million tons of coal annually. Industrially, Hubei has several large iron and steel plants and is an important center for automobile production and assembly. It also engages in petroleum and chemical processing, and ship building as well as the production of chemical fertilizers, machinery, textiles, foodstuffs, high-tech commodities, optical-electronics, telecommunications and laser equipment. 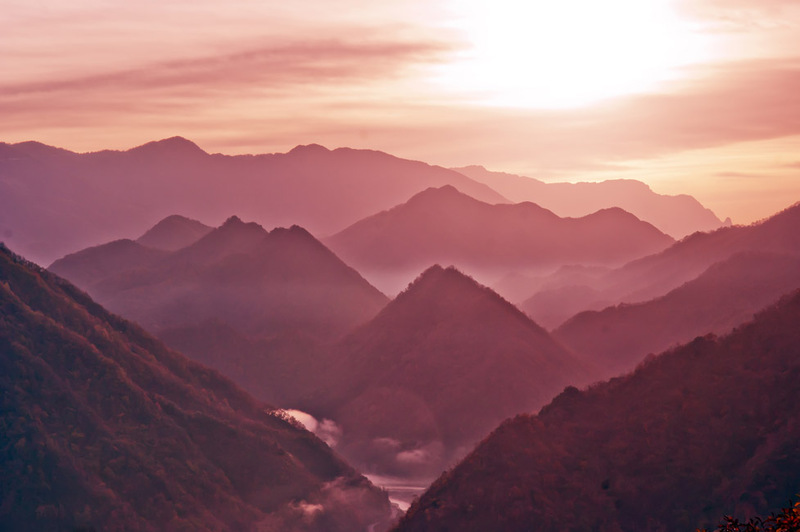 Situated north of the middle reaches of the Yangtze River, Hubei is surrounded by Wuling, Wushan, Daba, Wudang, Tongbai, Dabie and Mufu Mountains on the west, north and east. 55% of Hubei is covered by mountains while another 25% is blanketed by lower hills. At 3,105 meters, Hubei’s highest point is Shennong Peak in the Daba Mountain range. The rest of Hubei is made up of plain, lakes and rivers. The Jianghan Plain extends through central and eastern Hubei southward to join with Dongting Lake Plain and Dongting Lake in Hunan. This plain area is dotted with lakes, giving Hubei the name ‘the province of a thousand lakes’. In total, there are more than 1,300 lakes in the region, including 300 major ones 3 km2 in size of each or larger in size, the largest of these being Lake Liangzi and Hong Lake. Hubei is also traversed by 1,193 rivers of different sizes, their combined lengths totaling 37,000 km. Among these rivers, 42 course more than 100 km. The Yangtze River is the largest and flows 1,061 km, entering western Hubei through the Three Gorges with the eastern half of the Three Gorges lying in Hubei, while the western half is in neighboring Chongqing. Prior to completion of the Three Gorges Dam, the Yangtze ran down quickly into the Hubei Plain. The spring and summer rains radically increased its volume; during years of exceptional rains, the Yangtze flooded catastrophically. Today, its flow down to the plain is largely regulated, and much of the Three Gorges region is inundated by the dam’s massive reservoir. 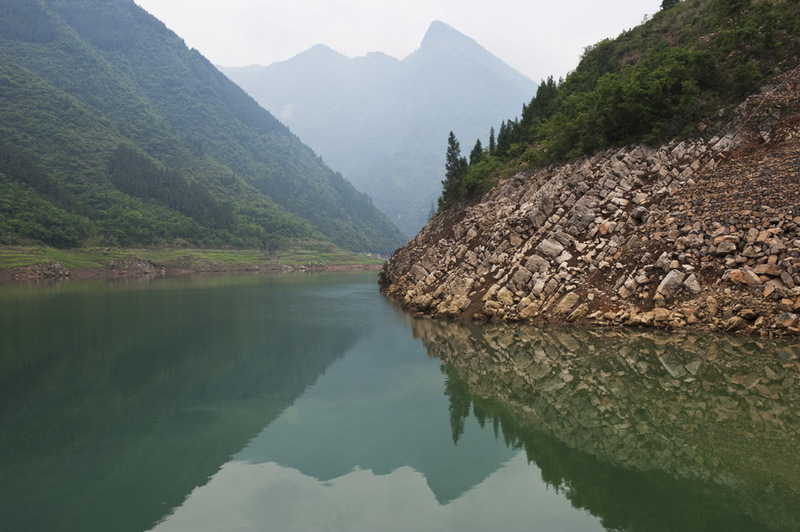 While flowing through Hubei, the Yangtze receives waters from of two major tributaries, the Han and the Qing Rivers. Running 878 km in Hubei from northwest to southeast, the Han River converges with the Yangtze at Wuhan. With summer temperatures regularly reaching 40 °C in July and August, Wuhan is known as one of the furnaces of the Yangtze, and is certainly one of the hottest places in China. Otherwise Hubei is considered to have a subtropical monsoon climate, although its variations of temperature can be seen due its wide variations in elevation. Much of interest in Wuhan has been ceded to the massive city’s relentless modernization and expansion. That said, glimpses of its past can be seen in some of its post-Opium War architecture constructed by the Europeans within the concessions they had won through fighting. This architecture is best discovered in the Yanjiang Dadao area of Wuhan. 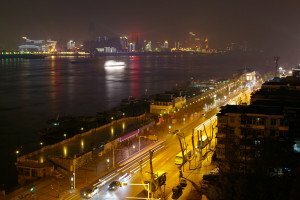 Also pleasant is the stroll along Wuhan’s Hankou Bund running along the Yangtze or around Wuhan’s East Lake. Interesting Wuhan museums include the: Hubei Provincial Museum which show cases the world’s largest musical instrument – 64 double tone bronze bells; Hubei Museum of Art, displaying modern and more ancient works as well as travelling exhibitions; Revolution of 1911 Museum, telling the story of the fall of the Qing Dynasty and the birth of modern China. 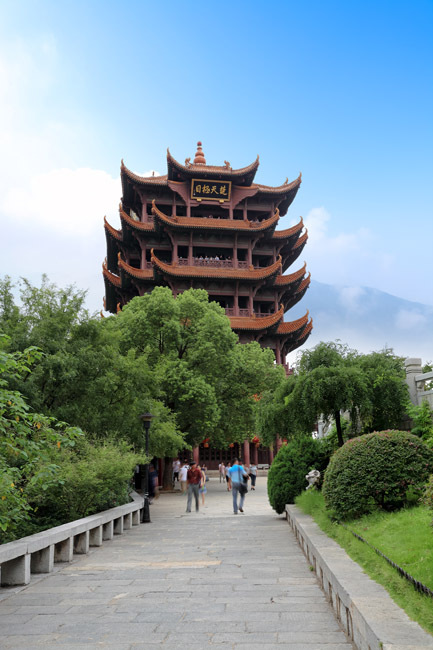 Wuhan’s important temples include the Guiyuan Temple, which showcases a 350 year old collection of Buddhist statues of enlightened disciples, and the Changchun Temple, a Daoist temple dating back to the Han Dynasty, although it has since been heavily restored. Jingzhou, the capital of the ancient Chu kingdom, is still surrounded by its defensive city wall which can be circumnavigated either by bike of foot. Around its South and East Gates, there is a festive feel as fortune tellers, entertainers, food hawkers, haircutters and others selling goods and services – including custom hire – congregate. Many old temples are close to the wall or are close by including the Kaiyuan, Guandi, Tienu, Xuanmiao and Confucian Temples. The farmland surrounding Jingzhou is home to several Chu kingdom burial sites which are at different stages of excavation. The 2300 year old Xiongjia Zong site, for instance, is the largest collection of Chu kingdom tombs ever discovered. Much of which has already been excavated is on display at the Jingzhou Museum, including a large collection of jade artifacts. Visitors to the site can also see the skeletal remains of two horses drawing an ancient chariot. Due to concerns about adequate preservation, many of the tombs still remain untouched. Located close to Hubei’s northern border, Wudang Shan Mountain is an important sitefor Daoist pilgrims and is famous in martial art circles as the birth place of Tai Chi. The mountain makes for good, although often quite steep, climbing. A popular trek is the Heavenly Pillar Peak which passes by the Purple Could Temple and the Chaotian Temple – replete with a statue of the Jade Emperor who in the Chinese traditional religion pantheon is one of the most important Gods – ruler of Heaven and all realms of existence below including those of Man and Hell. The path then divides between the shorter, steeper Ming Dynasty route which climbs through the Three Heaven’s Gates to the Second Gate of Heaven, and between the easier, 100 stair Qing Dynasty path. Located near the top of the climb are the Forbidden City and the 1416 bronze Golden Hall. Yichang offers an opportunity to visit the Three Gorges Dam which can be seen from a tourist viewing platform. There is also a small informational museum and gift shop on the site. Located in Hubei’s far western region, Shennongjia National Park is one of Hubei’s most beautiful national park offering good hiking, camping, monkey viewing and an opportunity to learn about many of China’s traditional medicinal plants.